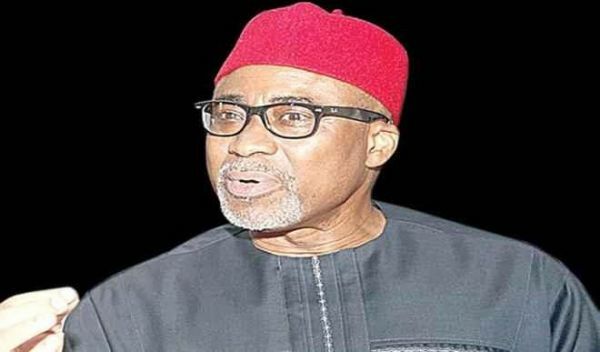 A Federal High Court sitting in Abuja, has given the Senator representing Abia South Senatorial District, Enyinaya Abaribe, and two others who volunteered as sureties for the self-styled leader of the Indigenous People of Biafra, (IPOB) Mr Nnamdi Kanu, to appear before it and explain why Mr Kanu did not appear for his trial. Justice Binta Nyako, who gave the order said in the alternative the sureties will forfeit the one hundred million bail bond each of them agreed to pay in the absence of Mr. Kanu. The prosecutor Mr Sulaiman Labaran had informed the court that Mr Kanu who has violated all of his bail conditions also failed to appear in court and as a result of that the court should revoke his bail and compile him to appear before the court or in the alternative ask his sureties to produce him in court. Responding counsel to Mr Kanu, Mr Ifeanyi Ejiofor, informed the court that he is also looking for his client and just to show how serious of an issue it is. He has filed a suit asking the court to compel the Nigerian Army to produce the self-styled leader of IPOB because his disappearance is unconnected with the invasion of his home by the Nigerian Army on September 11, 2017. Earlier, Senator Abaribe asked the court to make an order discharging him as surety to Kanu. The Senator prayed the court to discharge him entirely from the incidence of Kanu’s bail. He also asked to be discharge of the bond used for Kanu’s bail and a refund of N100 million or any other bond paid to the court sequel to the bail. The grounds upon which Senator Abaribe sought the reliefs include that the Nigerian Army during a raid at the residence of the IPOB leader engaged in a fracas with members of the group which has been proscribed by the federal government. Abaribe said since the raid by the Nigerian Army, the first defendant has not been seen or reached. He also said Kanu is yet to make any public appearance or any statement since the raid. The Senator said since September 20, the report in the media is that the first respondent (Federal Government) has proscribed IPOB an organisation led by Kanu and declared the organisation a terrorist organisation. He said security agencies of the Federal Government are interested in the second respondent. “The activities of the Nigerian Army as affecting the first respondent are matters of state secret incapable of being unraveled by the applicant which activities have put the second respondent out of the reach of the applicant such that the applicant cannot reasonably be expected to produce the second respondent before this court at any subsequent date.